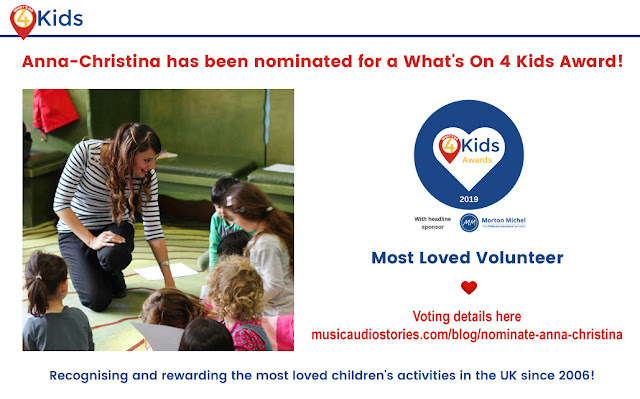 Anna-Christina Music: Storytime with Anna-Christina Package! I'm thrilled to announce the launch of my first 'Storytime with Anna-Christina' Package! Woohoo!!! My Story Time sessions have been a huge success at schools, nurseries and libraries all over London! Parents have been asking me if they could buy a package from me. Are you looking for an activity that will encourage your child to listen, sing, dance and draw? This package is for you! Finally submit the finished template to my 'Kids Corner' and you and your child will have the joy of seeing the drawing on my website! Make sure your child's first name, age and date are written on the front of the drawing, then post it directly to one of my social media platforms. This package will provide endless hours of fun and entertainment and is great enjoyment for everyone! Use this package on rainy afternoons, during the holidays or simply on the weekend when you want to encourage your child to be creative. My audiobooks compliment Key Stage 1 and areas of the Early Years Foundation Stage which makes them a brilliant tool for teachers and homeschoolers! I am offering my package to UK customers with free postage and packaging! BUY IT NOW and get started, you will love it!